Our Frankfurt location has been one of the most vital locations we operate from since its opening. Crucial for users in Germany and Europe who require ultra-fast speeds, we have now expanded our offering in Frankfurt to make it even better in Germany. We are always striving to give more to our customers. We knew that expanding our Frankfurt location would do just this which is why we did it. The extra space we have created has given us additional room to install more high-performance hardware in the form of our outstanding VPS. But what does this mean for you as a customer? There is no doubt that Frankfurt is a superb location for countries in the Central to Eastern European region. 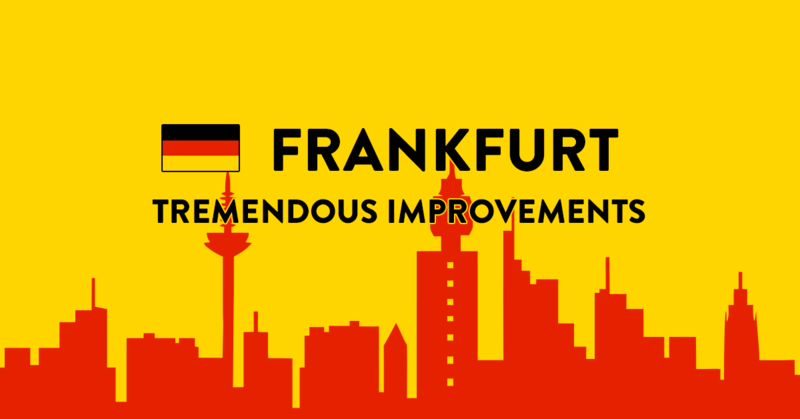 Being close to this area means that our Frankfurt VPS location gives low latency and fast connection speeds. Quite simply, if you live anywhere in this region then our new, more powerful Frankfurt location will be your best hosting choice. The extra capacity we have installed into our Frankfurt data centre means that you get even more power for your money. Along with the many advantages VPS servers have from superb security to flexible customisation, it means that this is an excellent choice if you are based anywhere near to Frankfurt. Why not give our new and updated VPS offering in this wonderful city a try? With a variety of hosting plans to suit all budgets and our data centre having a direct connection to the city's internet exchange, you won't regret it. With all major internet carriers finding a home here, it means that you get the best possible service when using Frankfurt for your VPS needs in the region. One of the major things that draw people to VPS Server is our superb 24/7 customer service and server reliability. Our VPS are very stable and will always keep your website online, where you need it. If you ever need a hand or have any questions, our welcoming team are on hand to help you out. When you look at the way our newly expanded location in the city has allowed us to increase the VPS server capacity we can utilise, it is obvious why so many people choose us for their hosting needs. In addition, we use the KVM solution to virtualise our servers for best results. Our cutting-edge technology, such as the latest SSD drives, means that our servers perform like no other. If you are located anywhere in Central or Eastern Europe, then our revised Frankfurt hosting is the best option for your VPS needs. This is just part of our global expansion plans with many more locations being considered around the planet for development next. Our platform is also updated with new templates available to deploy your VPS.